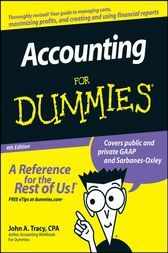 Financial Accounting SFCC Spring 2008 Chapter 8. In this chapter, accounting Professor Susan Crosson discusses Liabilities, and in particular: Current Liabilities. Part 1 of 9. Financial Accounting SFCC Spring 2008 Chapter 8. In this chapter, accounting Professor Susan Crosson discusses Liabilities, and in particular: Notes Payable. Part 2 of 9. Financial Accounting SFCC Spring 2008 Chapter 8. In this chapter, accounting Professor Susan Crosson discusses Liabilities, and in particular: Product Warranties. Part 3 of 9. Financial Accounting SFCC Spring 2008 Chapter 8. In this chapter, accounting Professor Susan Crosson discusses Liabilities, and in particular: Sales and Excise Taxes. Part 4 of 9. Financial Accounting SFCC Spring 2008 Chapter 8. In this chapter, accounting Professor Susan Crosson discusses Liabilities, and in particular: Payroll and Payday. Part 5 of 9. Financial Accounting SFCC Spring 2008 Chapter 8. In this chapter, accounting Professor Susan Crosson discusses Liabilities, and in particular: Payroll and Employers. Part 6 of 9. Financial Accounting SFCC Spring 2008 Chapter 8. In this chapter, accounting Professor Susan Crosson discusses Liabilities, and in particular: Simple and Compound Interest. Part 7 of 9. Financial Accounting SFCC Spring 2008 Chapter 8. In this chapter, accounting Professor Susan Crosson discusses Liabilities, and in particular: Present Value. Part 8 of 9. Financial Accounting SFCC Spring 2008 Chapter 8. In this chapter, accounting Professor Susan Crosson discusses Liabilities, and in particular: Net Present Value Example. Part 9 of 9.